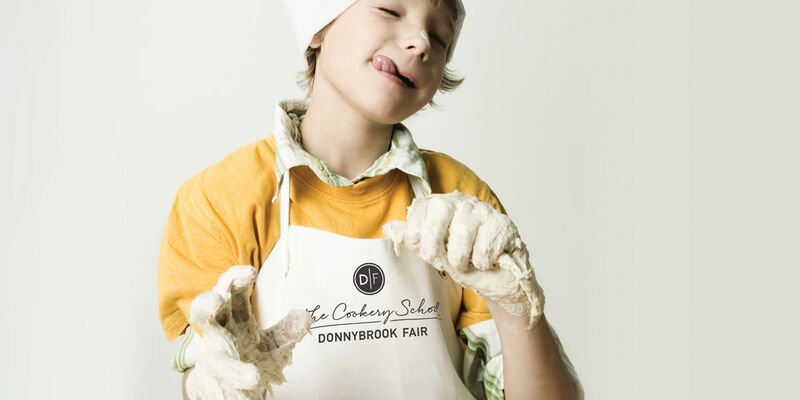 A five day summer course designed to teach kids how to cook a variety of different dishes. Students will learn how to make delicious recipes from scratch and will enjoy the fruits of their labour at the end of each class. Suitable for ages 9 to 12. This summer sees the return of our famous Kids Camps – a five day course where your burgeoning foodies will be introduced to the wonderful world of cookery in a safe and fun environment. Each three-and-a-half-hour session will give students the opportunity to prepare two recipes, specially tailored by our Chefs to encourage basic cooking knowledge. A Variety of Dishes and Techniques. From starters to desserts, healthy cooking and food safety – your kids will learn it all! Each day they will go home with two brand new recipe booklets, the food they’ve created and experience that will last them a lifetime. Lunch is provided on-site, all students need to bring is themselves, clothes that you won’t mind getting a little messy and, most importantly, an enthusiasm for food.